It’s been more than five years since J.K. Rowling’s final Harry Potter book was released. But it doesn’t mean the wizarding world has come to a halt. 2014 brought columns from Rita Skeeter, social media riddles from Rowling and revelations that Hogwarts was as warm and welcoming a place to diversity as Potter fans would have wanted. Though some critics argue Rowling needs to cool it with the new content, Potter fanatics feel otherwise. 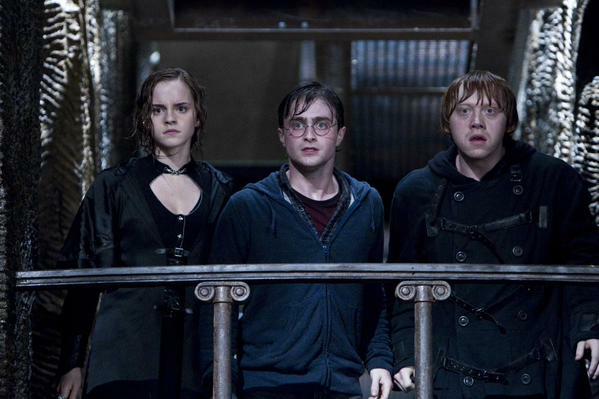 Here’s everything we learned about the wizarding world in 2014. 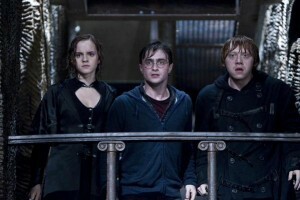 Rowling hit the heart of nostalgia in July when she published a gossip column from Rita Skeeter about Harry and Company’s reunion at the Quidditch World Cup. The infamous wizards, “no longer the fresh-faced teenagers they were in their heyday,” are now in their thirties. Harry, a 34-year-old with “threads of silver” in his hair, was sporting a new scar, a “nasty cut over his right cheekbone,” which Skeeter speculated was from an argument with his wife Ginny Potter, now a reporter for the Daily Prophet. Hermione Granger, the feminist fatale, naturally did not change her last name as Ginny did. Granger unsurprisingly rose to be Deputy Head of the Department of Magical Law Enforcement. Ron Weasley, however, is beginning to bald and left the Ministry of Magic after only two years to co-manage Weasleys’ Wizard Wheezes with his brother George. Percy Weasley, meanwhile, is Head of the Department of Magical Transportation. Neville Longbottom is now an Herbology teacher at Hogwarts and is married to Hannah Abbot, a Hufflepuff. Luna Lovegood is married to Rolf Scamander (grandson of Newt Scamander, more on that below). Teddy Lupin, son of the deceased Remus Lupin and Nymphadora Tonks, is now 16 and seems to be addicted to snogging Victoire, who is Bill Weasley and Fleur de la Coeur’s daughter. Rowling released a 1,700-word story on Halloween, noting that Umbridge was based on a former teacher who she despised. “Umbridge is not only one of the most malicious Potter characters—she is the only person other than Lord Voldemort to leave a permanent physical scar on Harry,” Rowling wrote and “one of the characters for whom [she felt] the purest dislike.” Her affinity for kittens was also inspired by a woman Rowling once shared an office with, who “had covered the wall space behind her desk with pictures of fluffy kitties.” Umbridge’s backstory was revealed in the piece, including the fact that her mother was a Muggle, her father a wizard and her brother a Squib. “Nasty things tended to happen” to those who inquired about her family. And even to those who didn’t, we always knew. The famous wizard was always looking for new ways to stay famous. Lockhart discovered Occamy eggs—Occamys are serpentine-like creatures with wings who are very protective of their silver eggs. The creatures’ aggressiveness made the shampoos too expensive and too dangerous to produce. Fans thought Rowling was hinting at a new Potter book when she posted an anagram to Twitter asking fans to solve it. But a winner revealed it was simply a hint at Rowling’s latest project: The screenplay for Fantastic Beasts and Where to Find Them, a Potter movie spinoff. The screenplay is based on a book that once only existed in the wizarding world and served as a textbook at Hogwarts. Rowling responded to a fan who tweeted that his wife had teasingly told him there were no Jews at Hogwarts, meaning that she was the only one qualified to be “magical” in the family. She confirmed in a later Tweet that the only people she never imagined at Hogwarts are Wiccans. All sexual orientations are welcome as well, she confirmed when a fan asked about an LGBT club at Hogwarts. “Draco was raised in an atmosphere of regret that the Dark Lord had not succeeded in taking command of the wizarding community,” Rowling wrote, revealing that before meeting Harry on the Hogwarts Express, Draco, his family and other ex-Death Eaters thought Harry could be “another, and better, Voldemort.” Draco married Astoria Greengrass, who may have helped shape the bitter Slytherin into a better man. “As Astoria refused to raise their grandson Scorpius in the belief that Muggles were scum, family gatherings were fraught with tension,” Rowling wrote. “But there was something slightly comical and incongruous about having such a large and heavy horcrux,” Rowling wrote.